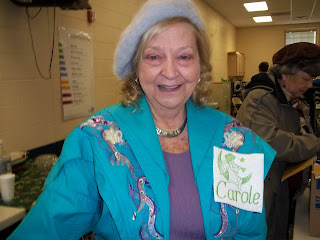 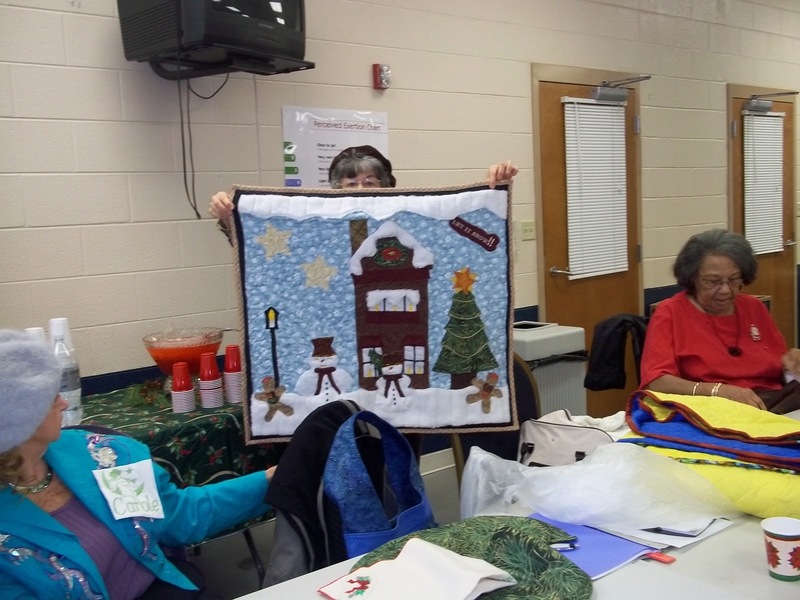 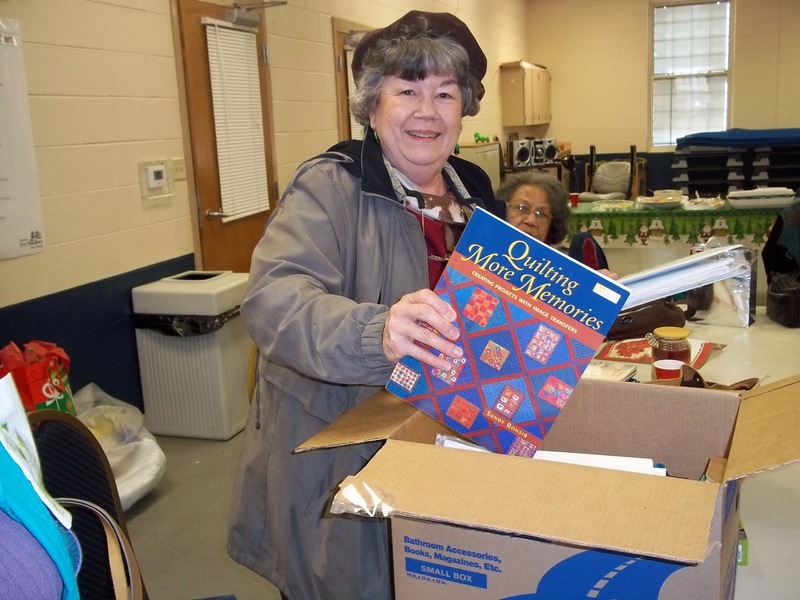 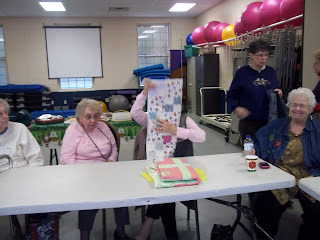 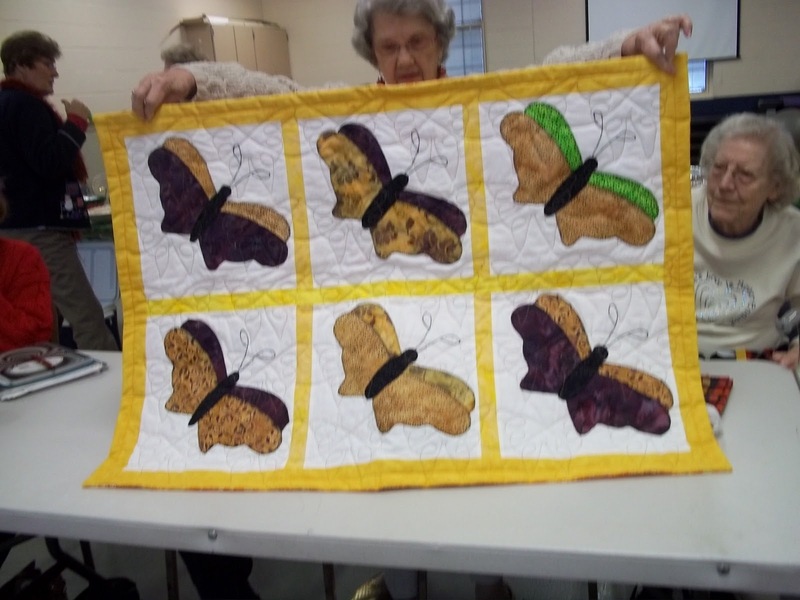 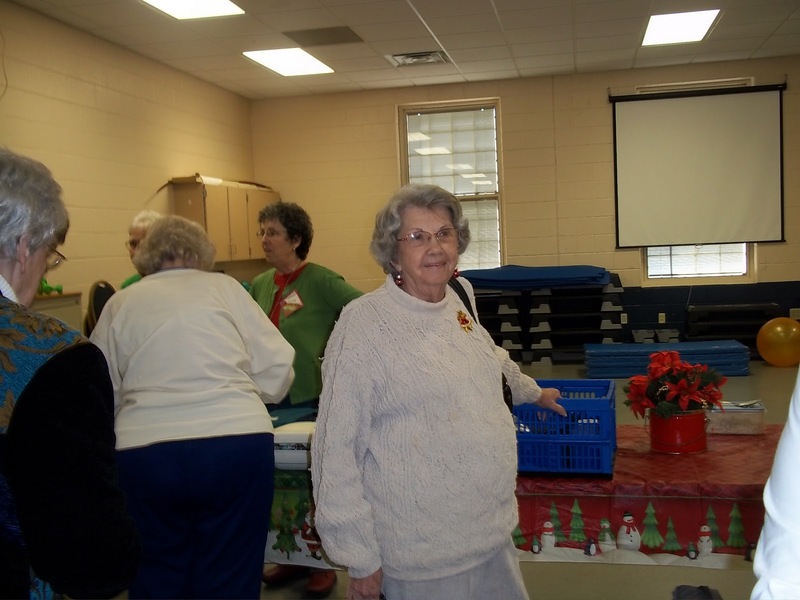 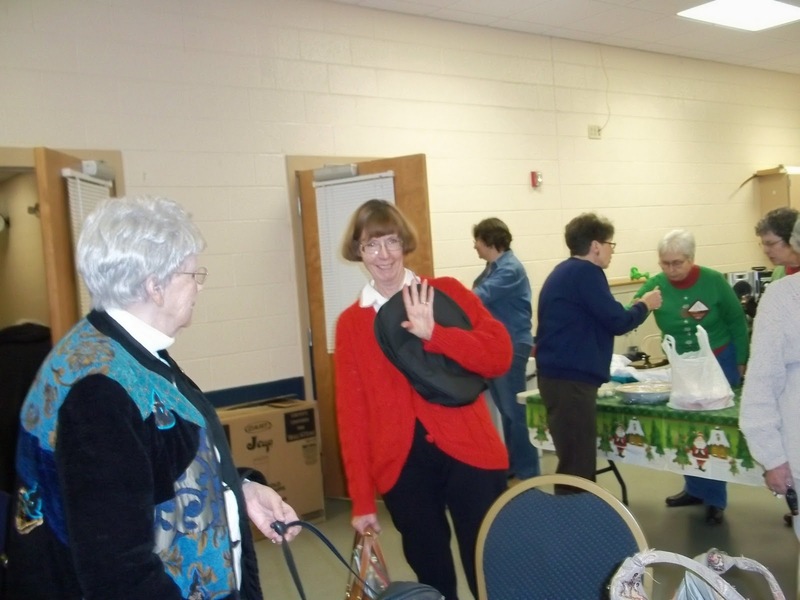 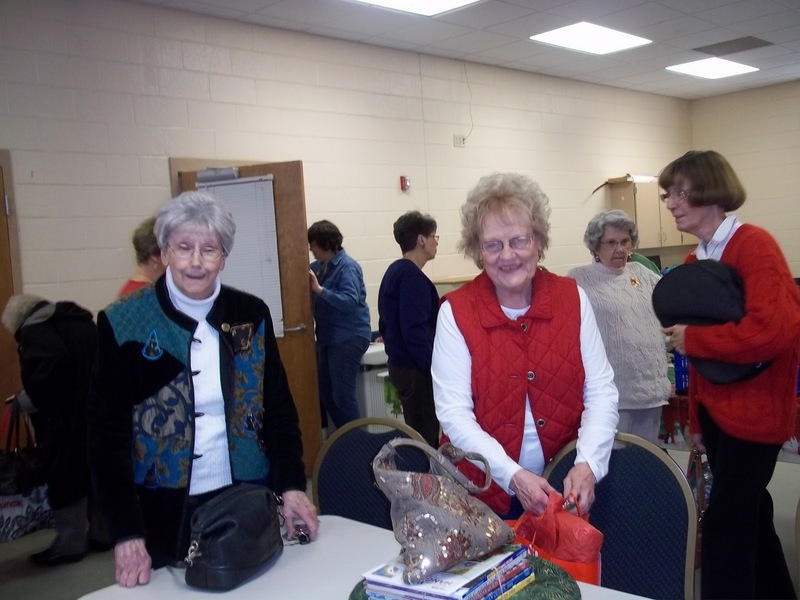 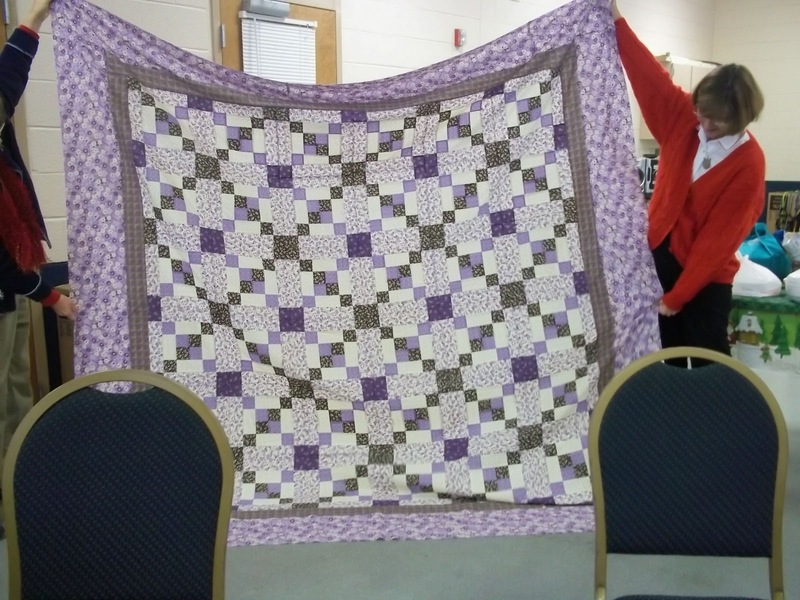 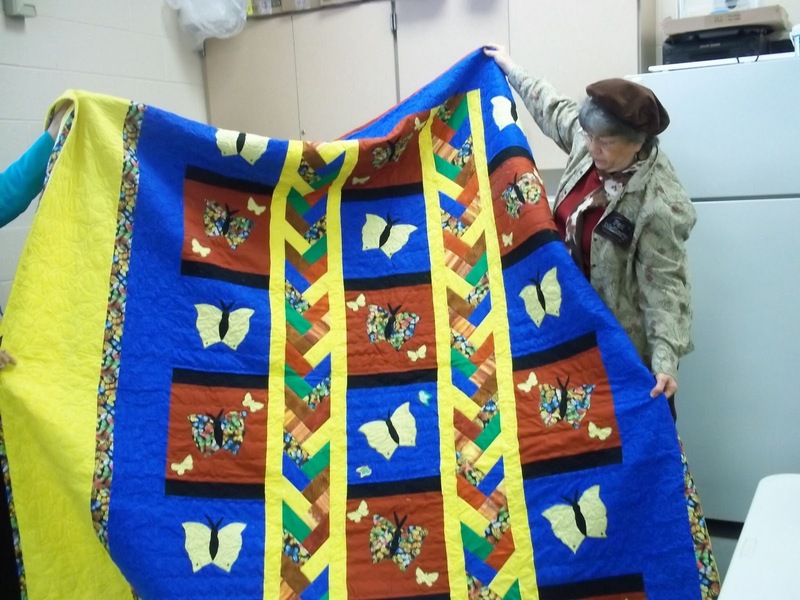 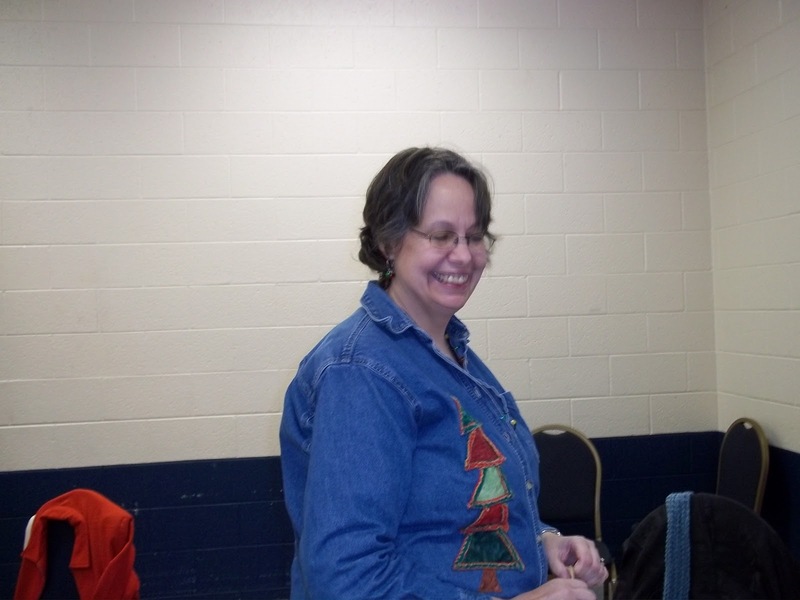 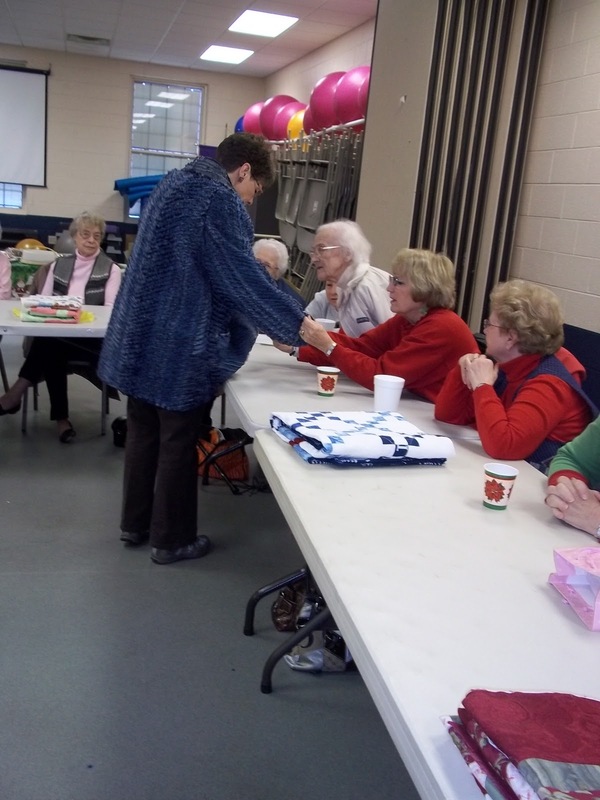 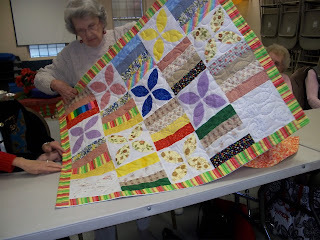 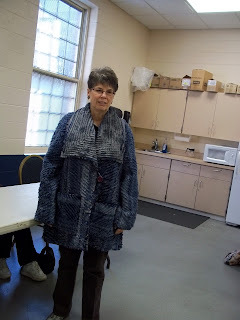 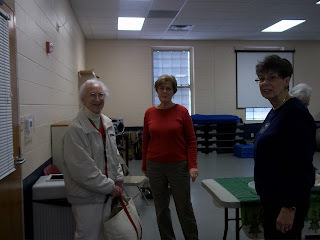 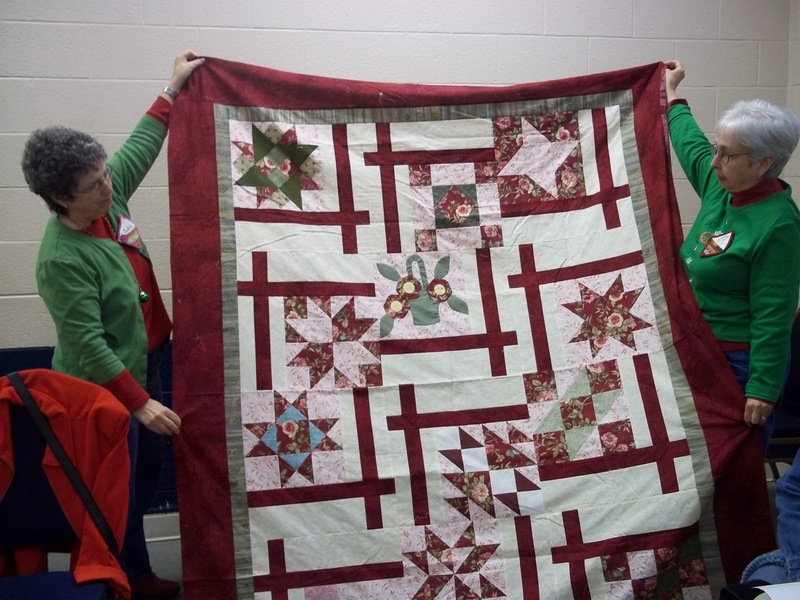 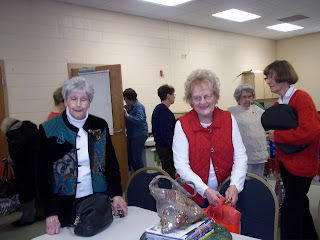 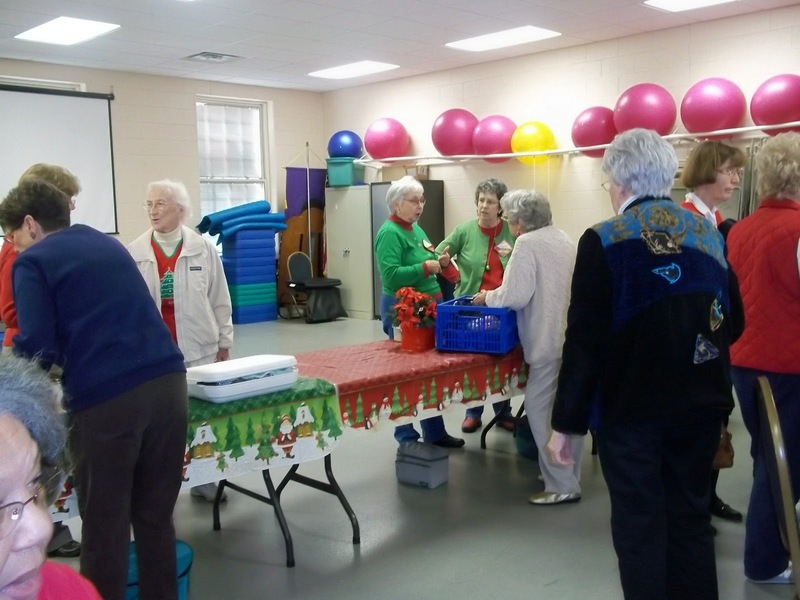 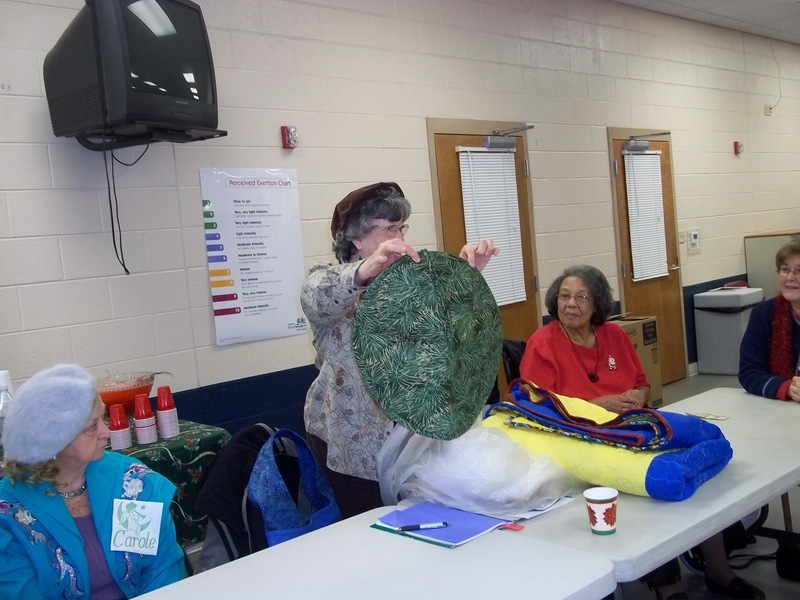 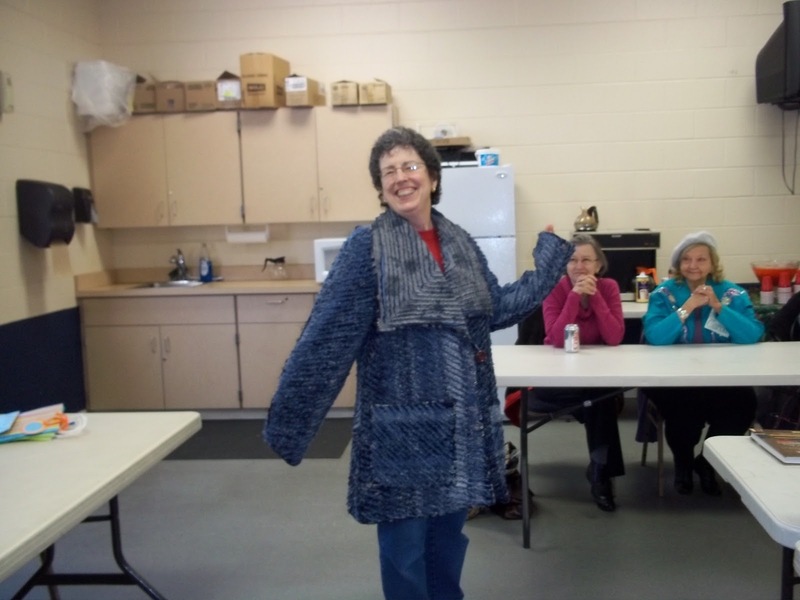 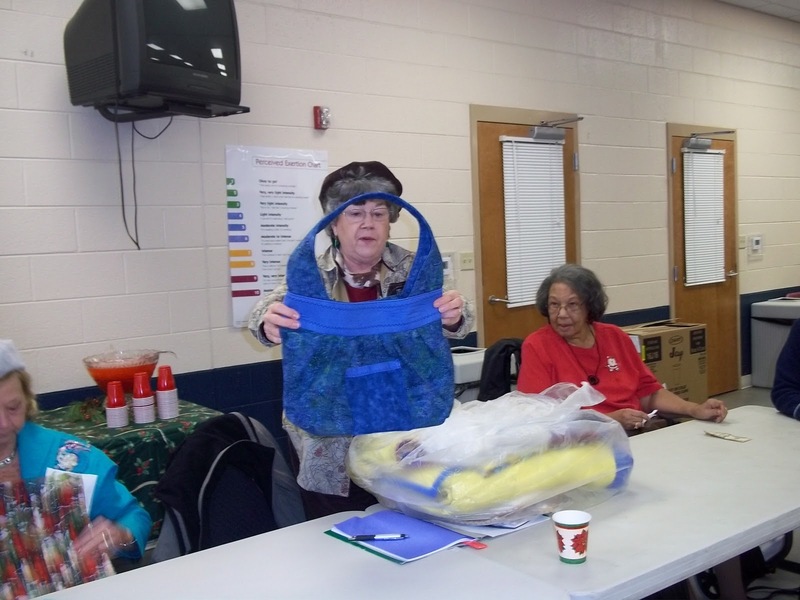 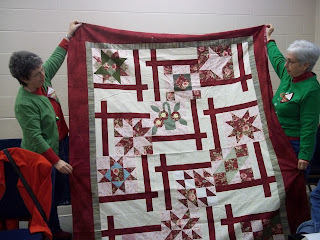 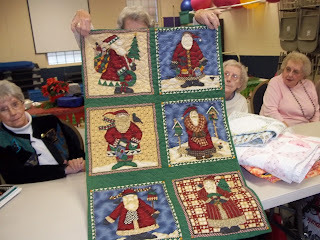 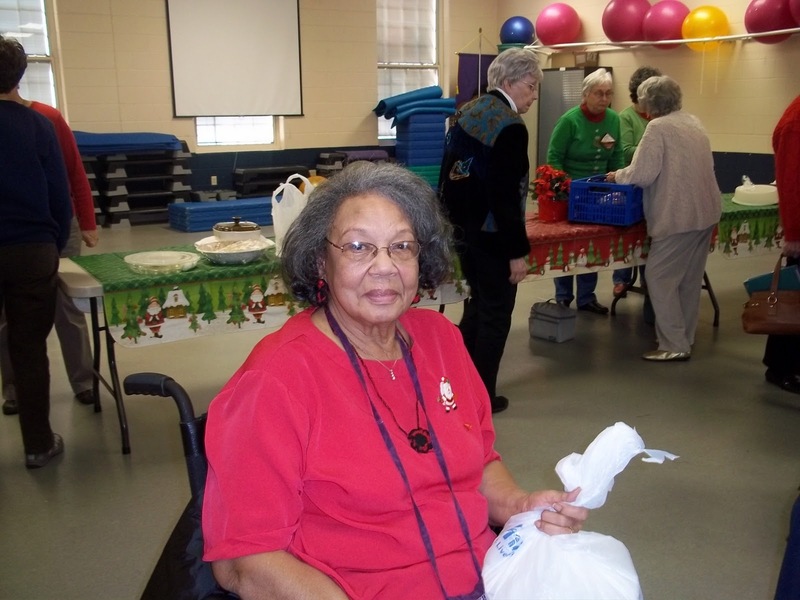 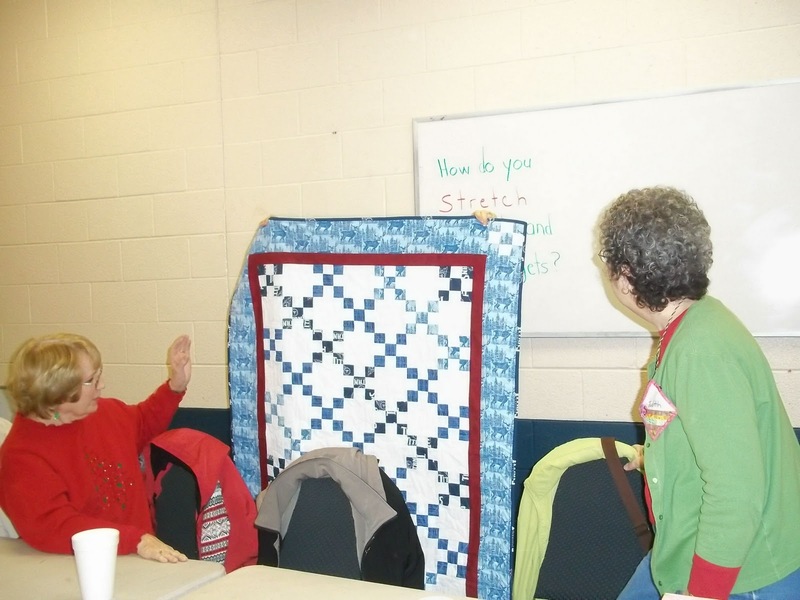 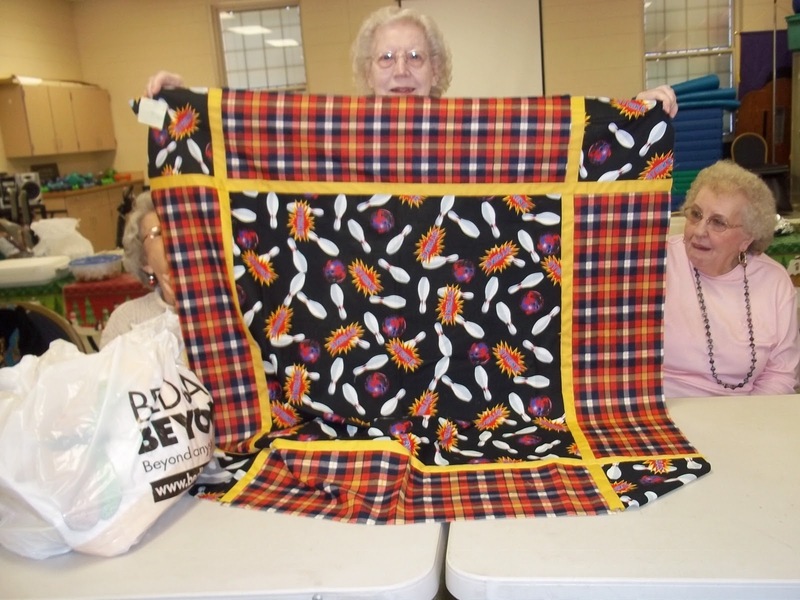 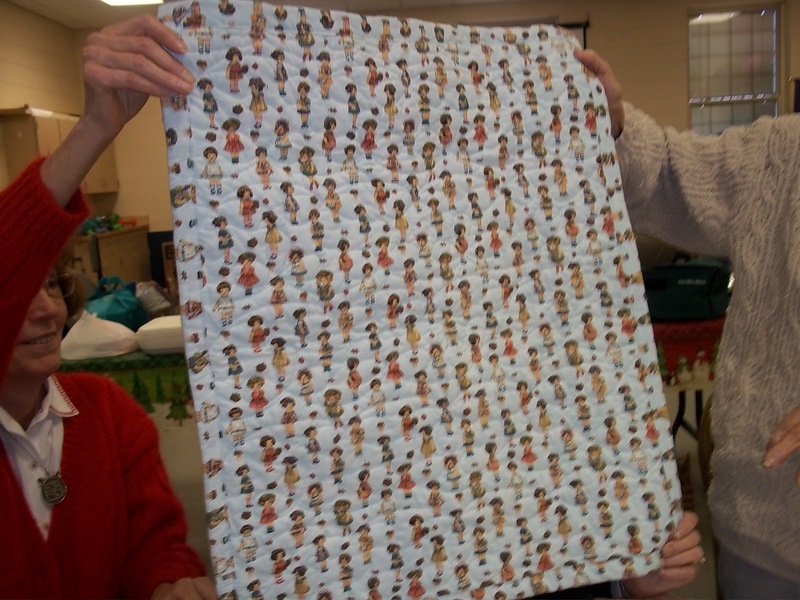 On December 1, 2011 The Paris, TN Quilt Guild had our final meeting for the year. 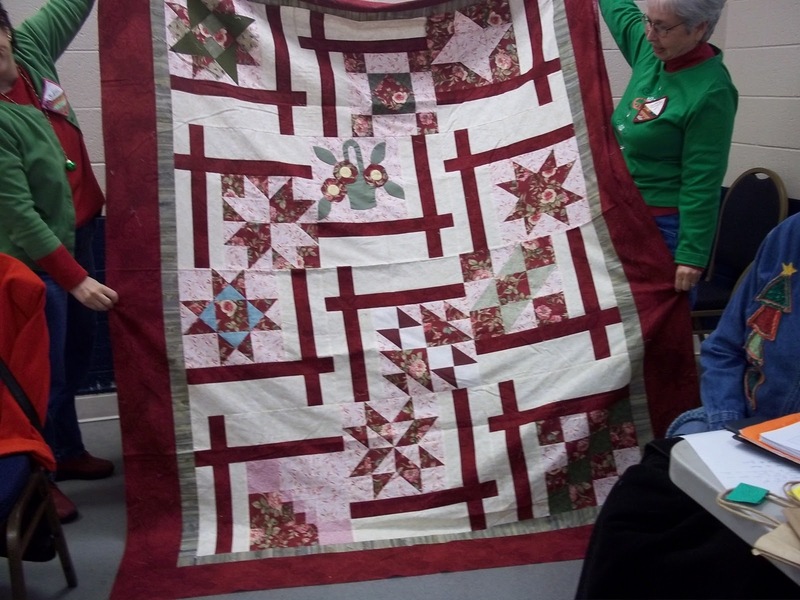 It was a fun meeting because after we got our "old and new business" out of the way we had our favorite show and tell time where members shared our latest finished and work in progress projects. 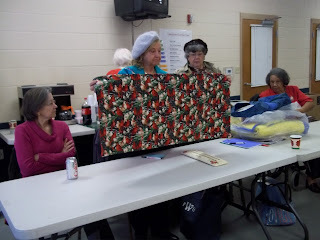 It is always fun to see what other quilters do during the month. 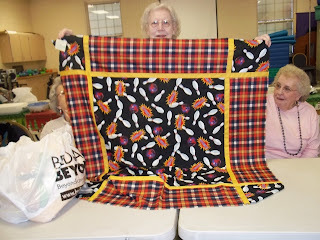 I think we all work hard to have at least one item to show,,,,unless you are Flora Hunt who always "wow's" us with all the beautiful quilts she gets done during the month. Flora can take fabric that looks like it has no potential at all an make the most beautiful quilts. It is always so great to see what she has done. and she put this quilt together and see how wonderfully the colors match. 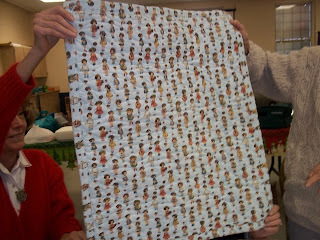 We had a lot of busy quilter last month because we was able to look at some beautiful finished pieces. Some of us showed some items that was not quilts, but we loved looking at them just the same. 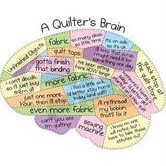 We are so proud of all our talented quilters. Then the great white elephant auction. 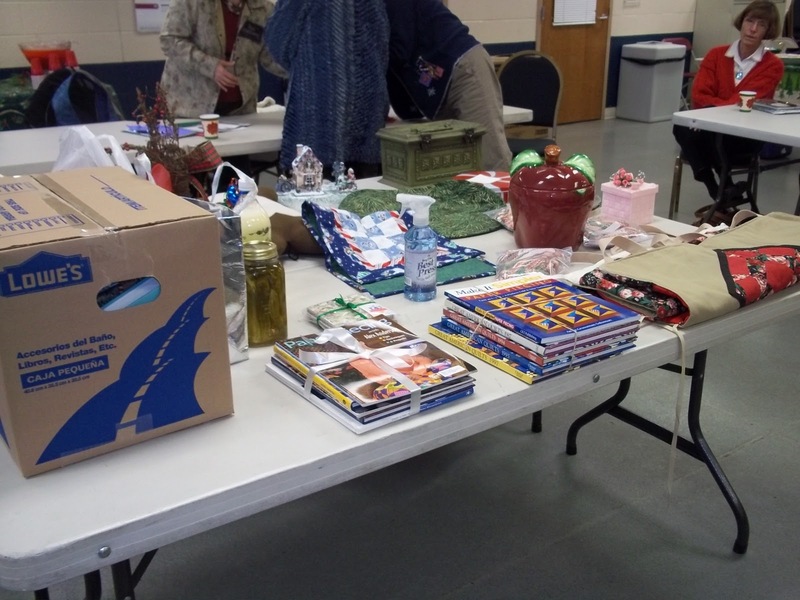 We had some wonderful items donated that were auctioned off within the guild and the money will be donated to special charities. The auction was a great hit and we want to thank Helen for being the "auctioneer extraordinaire". We also had a great "dish to pass", "potluck" lunch and as we all know we also have some of the best cooks in Paris, TN. 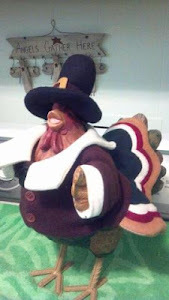 We ate and ate. 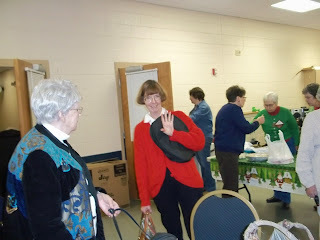 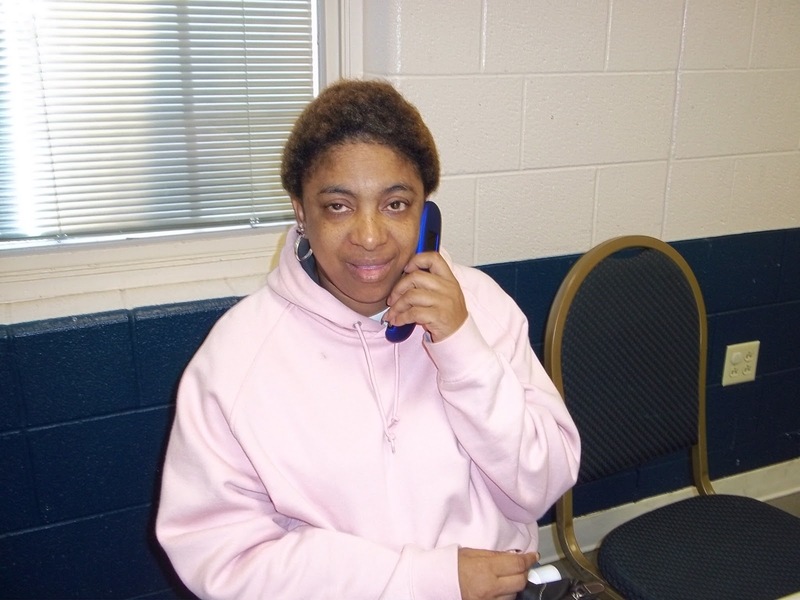 I am so looking forward to our next meeting which will be January 5, 2012. We will be starting the New Year with new officers. It was a great experience being the guild president for 2 years and I look forward to this next year.....Doreen Bryant.